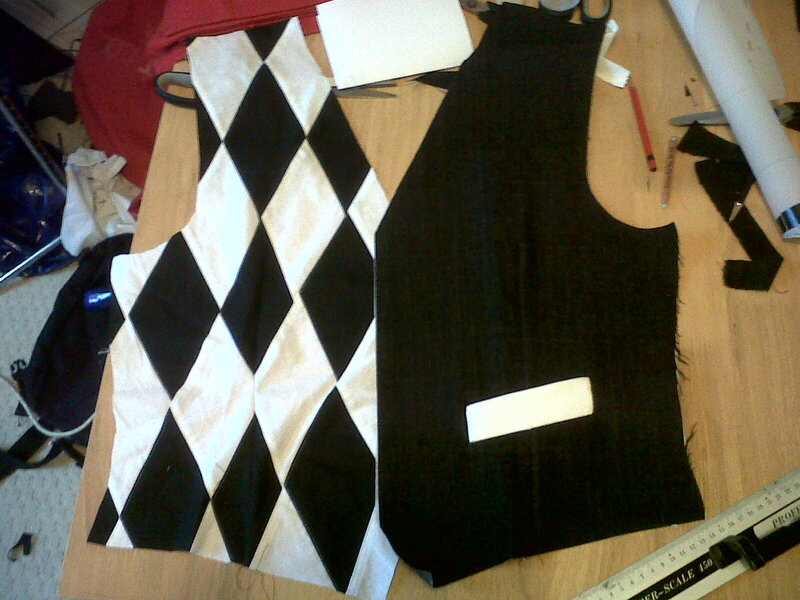 I’ve been working on a waistcoat to go with the circus trousers! This is a rough design (pictures taken with my phone, so they aren’t the best). I started work the other day, paying particular attention to that pocket- I’ve only done a handful of slashed pockets, and this is the first I’ve done at an angle AND over a dart. It was actually quite painless, though, and it looks great! I was quite careful with the dart positioning on the harlequin side, too, so that it didn’t throw the pattern off too much. I considered using a pleat instead of a dart, since the whole thing will be underlined with a heavier fabric, but I want it to be quite fitted when it’s done; I’m not a fan of the traditional baggy harlequin suit one sees- this outfit is for the hardworking harlequin on the go. I’ve been delayed because I need plain black and white cottons to make the back panels, and to line the whole thing with; in the past, I would have just used whatever polycotton I had lying around, but I’ve decided it’s time to reach for a higher quality. I should be able to get hold of some today, and then get the whole thing finished early next week. UPDATE: It’s finished now! Take a look at the bottom of this post to see it on me! While I’ve been much better at updating this blog lately, the real action is on my twitter account, so head over there and follow me to keep up to date! 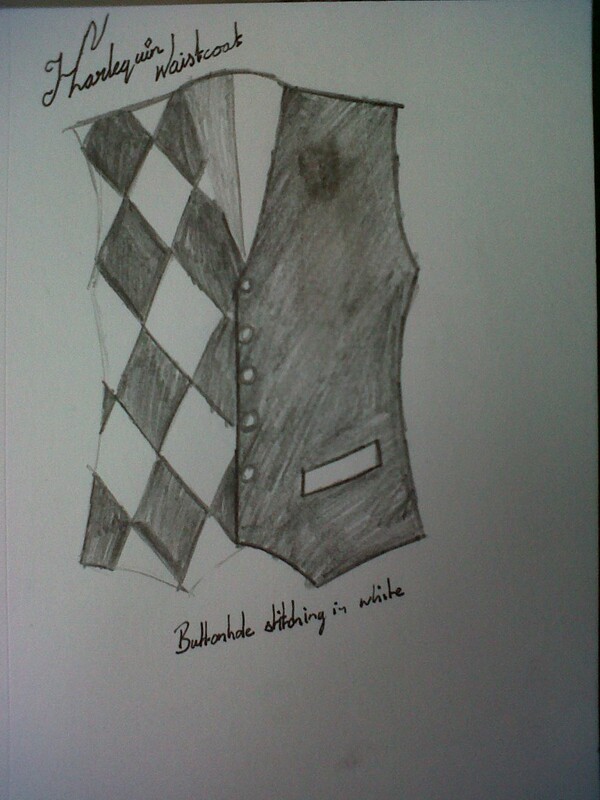 This entry was posted on Thursday, August 9th, 2012 at 9:29 am	and is filed under circus swing, clothing. You can follow any responses to this entry through the RSS 2.0 feed. You can leave a response, or trackback from your own site.